The MySQL FOSS License Exception has now been deprecated. As of the release of MySQL Community Edition 8.0.4 on January 24, 2018, the MySQL FOSS License Exception no longer applies to new versions of the MySQL Client Libraries (also referred to as "MySQL Drivers" or "MySQL Connectors"). It has been replaced by the Universal FOSS Exception, which you can find at http://oss.oracle.com/licenses/universal-foss-exception, along with an exception for included technology under separate license(s). (See the License Information User Manual for each MySQL related download for license information specific to that distribution.) The MySQL FOSS License Exception continues to apply to older versions of the Client Library files in which Oracle has placed notices that the MySQL FOSS License Exception applies, and this description remains here for reference purposes. What is the FOSS License Exception? Oracle’s Free and Open Source Software ("FOSS") License Exception (formerly known as the FLOSS License Exception) allows developers of FOSS applications to include Oracle's MySQL Client Libraries (also referred to as "MySQL Drivers" or "MySQL Connectors") with their FOSS applications. MySQL Client Libraries are typically licensed pursuant to version 2 of the General Public License ("GPL"), but this exception permits distribution of certain MySQL Client Libraries with a developer’s FOSS applications licensed under the terms of another FOSS license listed below, even though such other FOSS license may be incompatible with the GPL. The following terms and conditions describe the circumstances under which Oracle’s FOSS License Exception applies. "Derivative Work" means a derivative work, as defined under applicable copyright law, formed entirely from the Program and one or more FOSS Applications. "FOSS Application" means a free and open source software application distributed subject to a license listed in the section below titled "FOSS License List." "FOSS Notice" means a notice placed by Oracle or MySQL in a copy of the MySQL Client Libraries stating that such copy of the MySQL Client Libraries may be distributed under Oracle's or MySQL’s FOSS (or FLOSS) License Exception. "Independent Work" means portions of the Derivative Work that are not derived from the Program and can reasonably be considered independent and separate works. "Program" means a copy of Oracle’s MySQL Client Libraries that contains a FOSS Notice. All works that are aggregated with the Program or the Derivative Work on a medium or volume of storage are not derivative works of the Program, Derivative Work or FOSS Application, and must reasonably be considered independent and separate works. Oracle reserves all rights not expressly granted in these terms and conditions. If all of the above conditions are not met, then this FOSS License Exception does not apply to you or your Derivative Work. BSD license "July 22 1999"
1 When an Independent Work is licensed under a "Compatible License" pursuant to the EUPL, the Compatible License rather than the EUPL is the applicable license for purposes of these FOSS License Exception Terms and Conditions. Q1: What are the benefits of the FOSS License Exception? Q2: Does the FOSS License Exception apply to all Oracle software products, including the MySQL database server? Q3: Can an open source software project combine and distribute any of Oracle’s GPL-licensed MySQL software with other open source software under the FOSS License Exception? Does this include the MySQL database server? Q4: Can commercial OEMs, ISVs or VARs combine and distribute commercial products with Oracle’s GPL-licensed MySQL software under the FOSS License Exception? Does this include the MySQL database server? Q5: What should a developer of a Derivative Work do if it wants to distribute the Derivative Work under the GPL? Q6: If I have more questions, who should I contact? A: The FOSS License Exception permits use of the GPL-licensed MySQL Client Libraries with software applications licensed under certain other FOSS licenses without causing the entire derivative work to be subject to the GPL. A: No. The FOSS License Exception does not apply to Oracle’s MySQL database server or any Oracle or MySQL software other than the GPL-licensed MySQL Client Libraries. A: Open source software projects and other developers are free to use and distribute GPL-licensed MySQL software with other open source software as long as they comply with the terms of the GPL. Open source software projects and other developers can also use and distribute open source applications with the GPL-licensed MySQL Client Libraries under the terms of the FOSS License Exception without causing the entire derivative work to be subject to the GPL. The FOSS License Exception only applies to software licensed under the FOSS licenses listed in the section above titled “FOSS License List”, and only with respect to use and distribution of Oracle’s MySQL Client Libraries. The FOSS License Exception does not apply to the MySQL database server or other Oracle or MySQL software. The terms of the GPL apply with respect to use and distribution of the MySQL database server with any other software. A: A developer may choose to distribute a copy of a Derivative Work exclusively under the terms of the GPL at any time by removing the FOSS License Exception notice from that copy of the Program and including appropriate GPL notices. 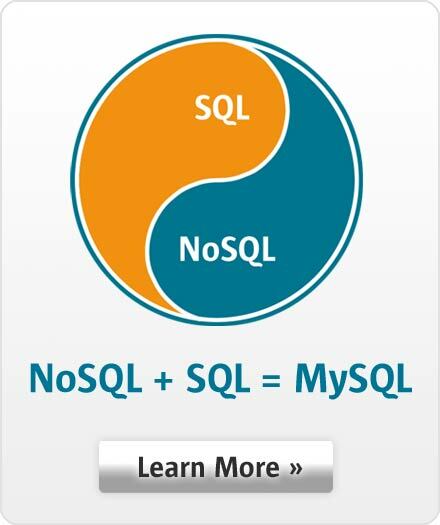 A: For more information, please contact a MySQL sales representative.